Since early 1991, Lisa has helped hundreds of home buyers simplify their move to the South Hills of Pittsburgh. Lisa's success comes from her own experiences as a home buyer and 24 years of dedication she has demonstrated in providing outstanding representation and world class service to each of her clients. To continue providing her clients the highest level of service, Lisa holds the Accredited Buyer Representative (ABR) designation and has her Associate Brokers License. This is a designation that only a select number of real estate agents nationally possess. For the past 24 years Lisa has made the South Hills of Pittsburgh her home. Because of its potential for business growth, award winning schools, access to outdoor activities, and family relationships, Pittsburgh has proven to be a great place to call home. Lisa knows the market, understands local nuances, and has professional contacts that can provide her clients with expertise and assistance as required. Hello and welcome to an exciting time in your life: buying/selling a home! At Rachel Gordon Realty we live by one principle: treat every client like family! To us, this means: consistent communication, custom home searches, and respect. We believe in building a rapport with our clients and take pride in guiding them through the real estate transactions to make it smoother and more memorable. Our founder, Rachel Gordon, has a Bachelors of Engineering in Chemical Engineering & strives to bring her love for engineering into real estate through energy efficiency, conservation, and philanthropy. Please call/text/email us so we can have the honor of helping you! Rachel Gordon Realty hangs their license at Keller Williams Real Estate Professionals (190 Gallery Drive, McMurray, PA); each franchise is independently owned. For buyers, I provide a home buying consultation, in which we review all the steps in the home buying process, from acquiring a loan, to touring homes, to performing inspections, and to closing. For sellers, I provide an in-home consultation in which we walk through the home, review actions needed to put your home in the best shape possible for market, and review steps in the listing and sale process. Across the City, I work with first-time buyers, downsizing retirees, upsizing families, investors, and business owners. I work in commercial leasing and sales as well. I own and manage a number of rental properties in the City, which informs my advice to investors who are looking to acquire properties for their portfolios. Real Estate Sales, Unique property sales including farms, land, oil and gas, historical homes. Experienced residential and commercial Realtors, we have learned to listen to clients and gain an understanding of their needs and what is important to them. We will go above and beyond our clients' expectations in making sure their real estate transaction is a positive experience. We represent Coldwell Banker Pittsburgh, Western Pennsylvania's premier real estate company. 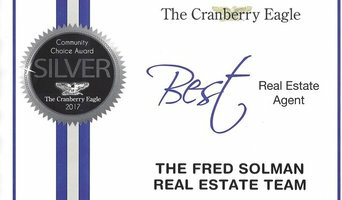 With 13 offices and over 900 sales associates in the region along with separate divisions for New Homes, Corporate Relocation, Property Management, Auction, Commercial Properties, Mortgage Services, and Luxury Homes, they are equipped to service all of your real estate needs and deliver the results you want. Some people think any real estate company will do. Others expect more! Coldwell Banker Real Estate Services - Pittsburgh, Western Pennsylvania's premier real estate company. With 13 offices and over 900 sales associates in Pittsburgh - in addition to separate divisions for New Homes, Corporate Relocation, Property Management, Auction, Commercial Properties, Mortgage Services, and Luxury Homes - Coldwell Banker Real Estate Services is equipped to service all of your real estate needs and deliver the results you want. Some people think any real estate company will do. Others Expect More. There is nothing more important than value. Our full-service, Pittsburgh-based real estate agency uses state-of-the-art technology to assess and connect with client needs for the best results. At One80 Real Estate Services, LLC our mission is to find the best possible real estate solutions that deliver value and exceed the expectations of every client. There is nothing more important than value. Our full-service real estate agency uses state-of-the-art technology to assess and connect with client needs for the best results. At One80 Real Estate Services, LLC our mission is to find the best possible real estate solutions that deliver value and exceed the expectations of every client. 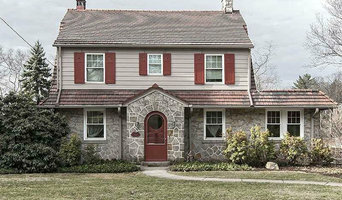 Hiring a professional Wexford, PA estate or letting agent really is essential in the modern housing market, so it’s important you find the right one for your move. Good Wexford, PA estate agents will be trained to handle all the regulations, laws and standards relating to buying, selling and letting properties in your area and the UK, and even better letting agents and property agents will be able to advise you on location, price and ways of improving property value if you’re selling. How do I choose a Wexford, PA letting agents or estate agents? For many people, the estate agent or letting agent they end up using depends on the best properties they can find on property agents’ search engines online. But if you’re searching for a particular style of property in a particular area, then it’s a great idea to try to find a local Wexford, PA estate agents that specialises in that style and area, and then they’ll be able to handle the search for you. If you are selling your house, it may be harder to work out which agent you should use. That’s why we’ve made it easier to compare each company on Houzz. We list Wexford, PA estate agents that work exclusively with architect- and interior-designed properties, so if you’ve been hard at work redesigning your home to improve its value, you can find the property agents that will do it justice. There will even be Wexford, PA property agents and companies that offer home staging and professional interiors photography, or work in partnership with other professionals that offer this, to show off your home to potential buyers. There are also some Wexford, PA letting agents that will help you to get the best price for your property if you plan to rent it out, by helping you create an appealing home that can be adapted, but not majorly altered, to your tenants needs. Of if you just need a traditional estate, letting or property management agency in Wexford that will sell your house for the best price, you’ll find plenty here too. 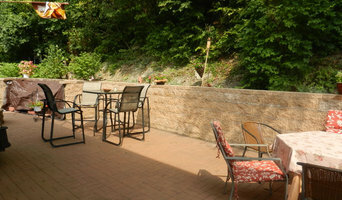 Find Wexford, PA estate agents, property agents or letting agents on Houzz. Narrow your search in the Professionals section of the website to Wexford, PA estate agent or letting agent. If you’re in the market to rent, buy or sell a home, you may be interested in hiring other professionals as well. Here are some related professionals and vendors to complement the work of estate agents: Home Stagers, Photographers.